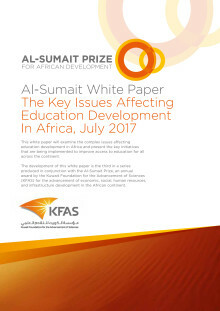 This white paper will examine the complex issues affecting education development in Africa and present the key initiatives that are being implemented to improve access to education for all across the continent. 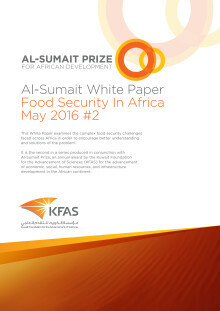 This new White Paper from Al-Sumait Prize for African Development examines the complex food security challenges faced across Africa in order to encourage better understanding and solutions of the problem. 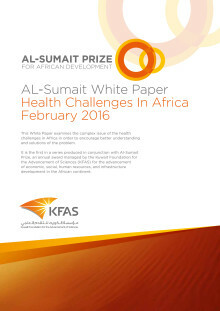 This White Paper examines the complex issue of the health challenges in Africa. 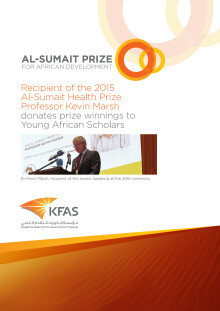 It is the first in a series of White Papers in conjunction with Al-Sumait Prize, an annual award managed by the Kuwait Foundation for the Advancement of Sciences (KFAS) for the advancement of economic, social, human resources, and infrastructure development in the African continent.